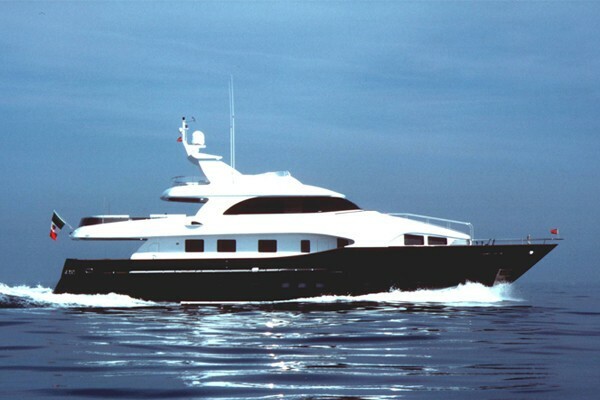 Luxury motor yacht BENDYCTA was delivered by CBI Navi Yachts in 2001 and underwent a refit in 2013. 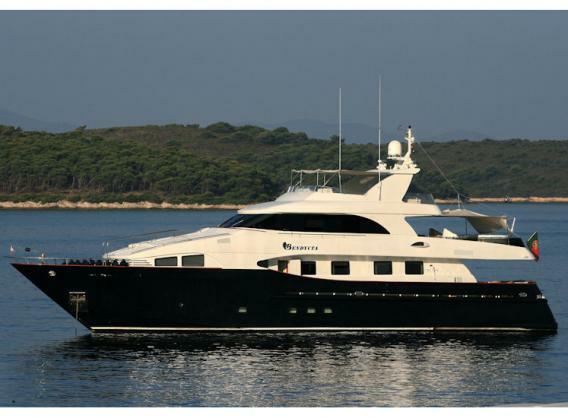 Available in the West Mediterranean for deluxe private charters, the 32m (105ft) M/Y BENDYCTA offers accommodation for up to 8 charter guests, in 4 en-suite cabins. 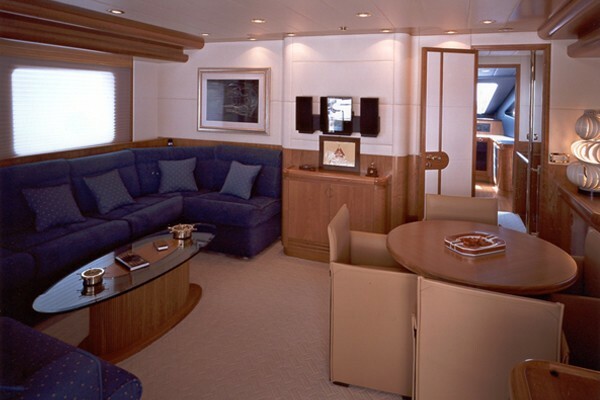 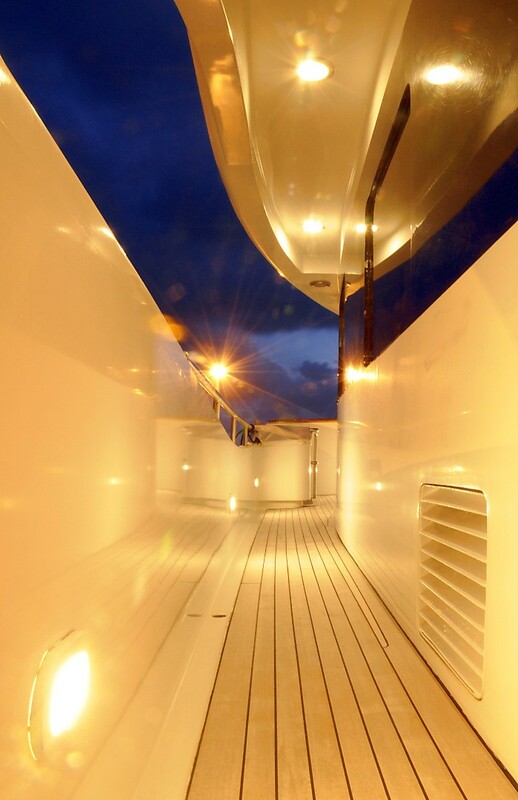 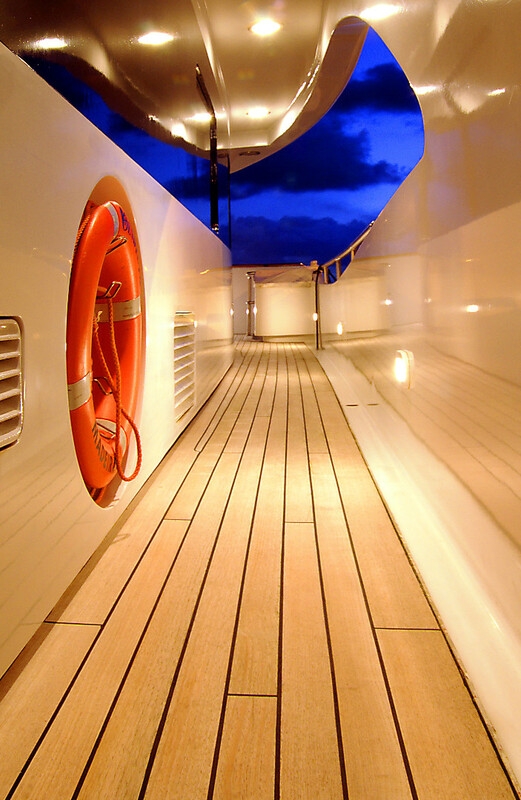 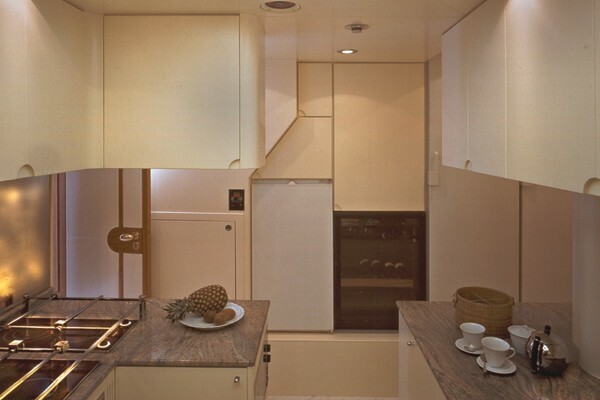 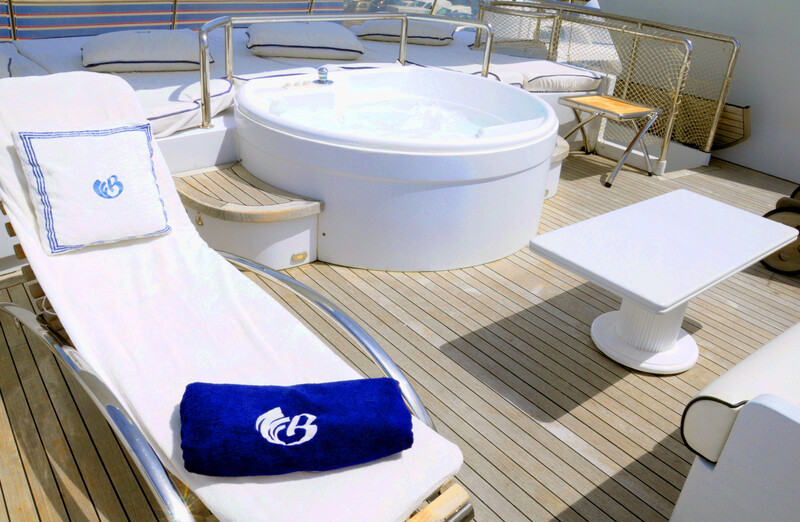 The BENDYCTA motor yacht features a warm interior décor, with a welcome and relaxed ambiance. 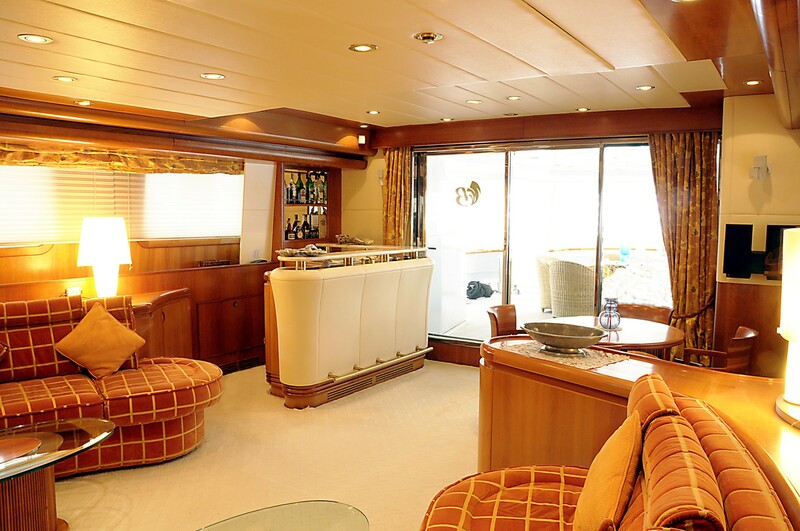 There are 2 guest lounge areas on 2 decks, with the main salon and dining on the main deck and skylounge aft of the pilot house. 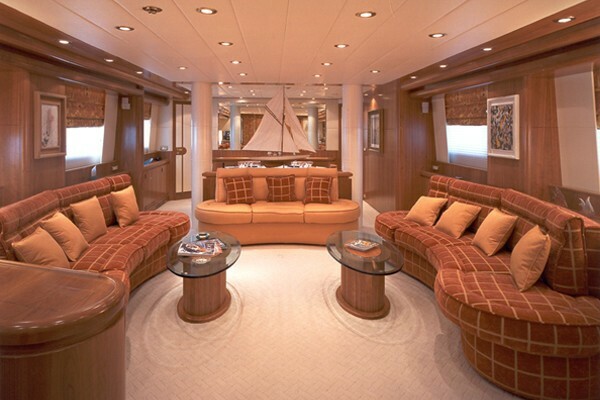 The salon boasts 3 comfortable sofas, coffee table, wet bar and games table. 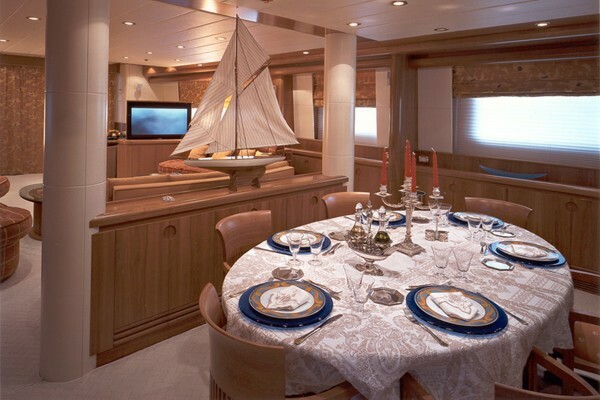 An island credenza gives a sense of separation to the formal dining forward, creating a more intimate ambiance. 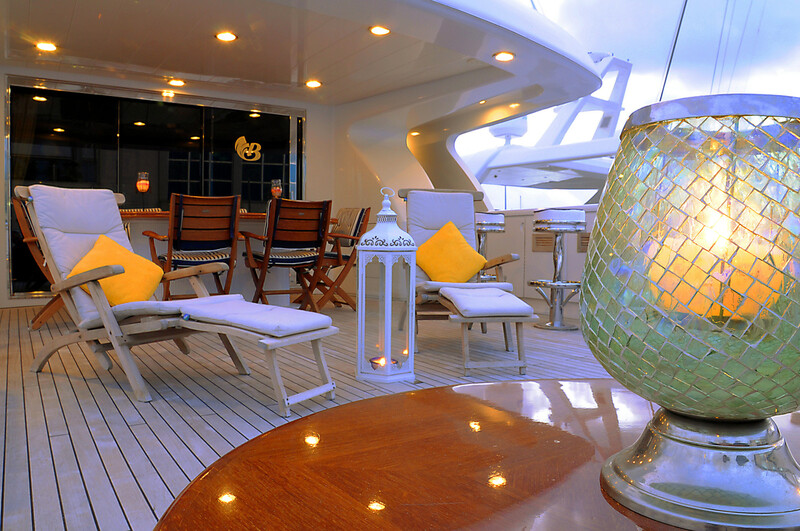 On the upper deck, the skylounge offers a sofa, occasional chairs, games table and TV entertainment. 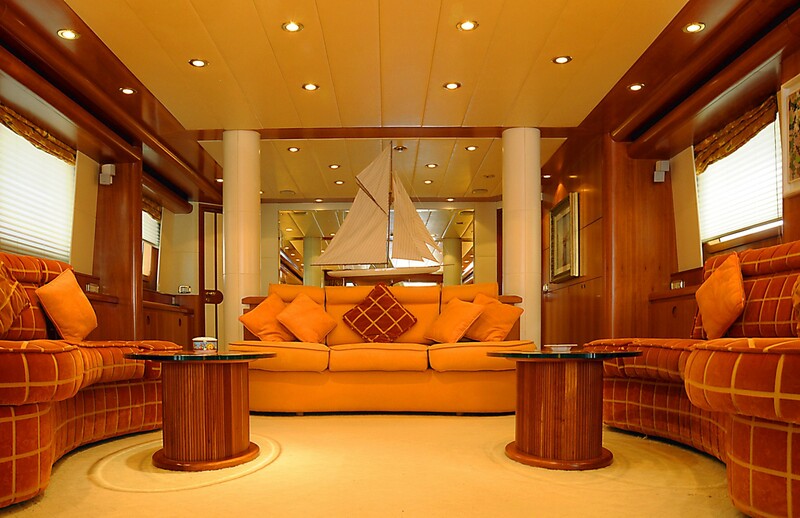 Guest accommodation is in one master cabin, forward on the main deck and 3 guest cabins below decks. 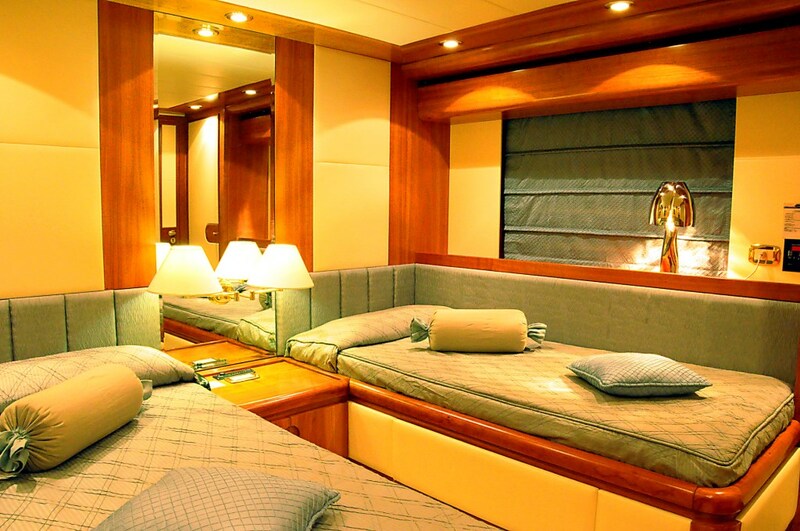 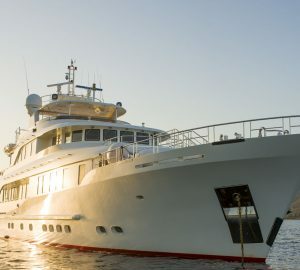 Crewed charter yacht BENDYCTA boasts impressive exterior living space, on 3 pristine teak decks. 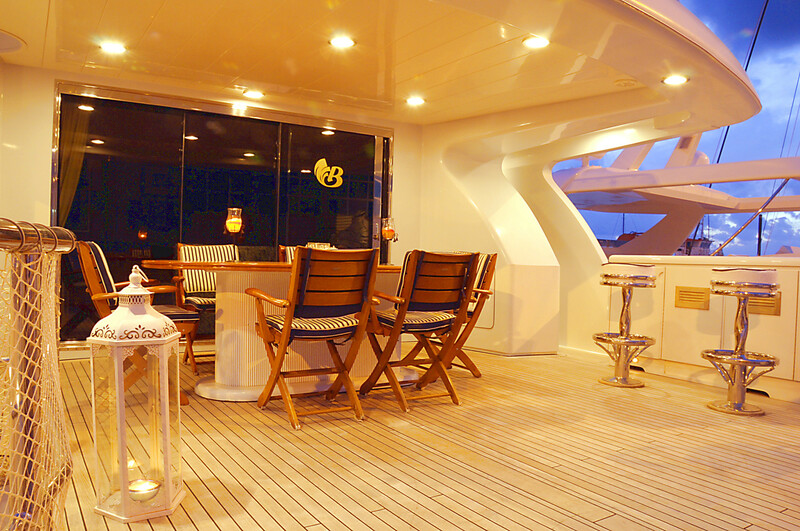 Aft of the salon is a well-appointed spacious area, with comfortable seating and a table, perfect for entertaining. 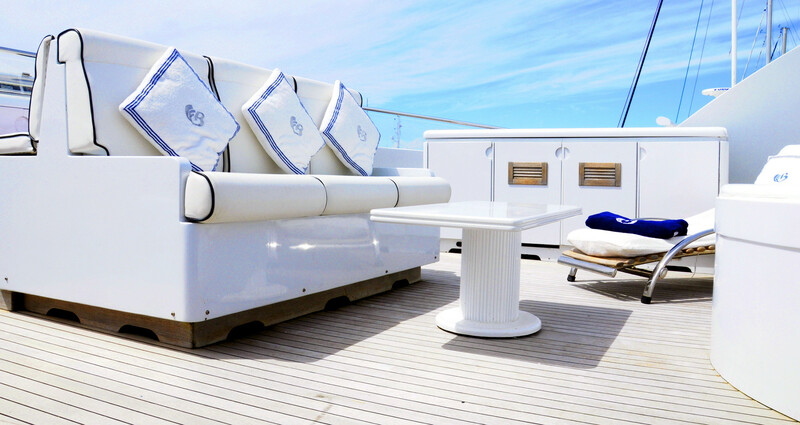 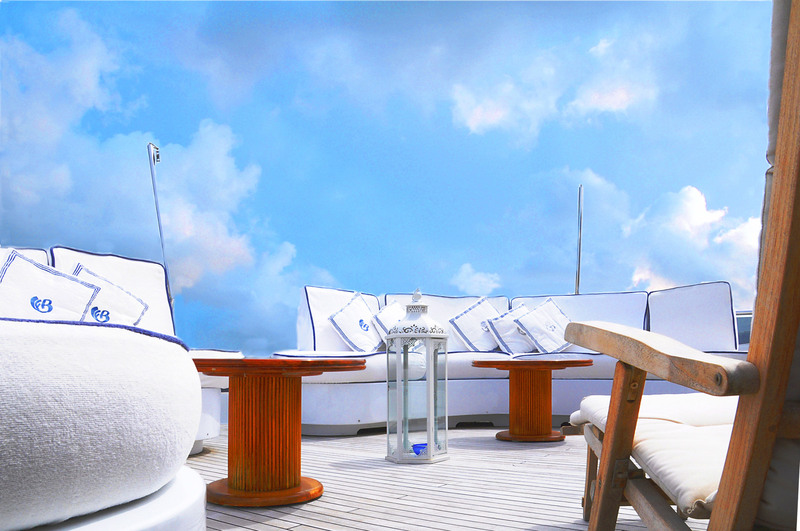 The skylounge is adjacent to the upper aft deck, where guests can dine alfresco, sip a cool cocktail from the wet bar or relax simply on the ample seating and chaise lounges. 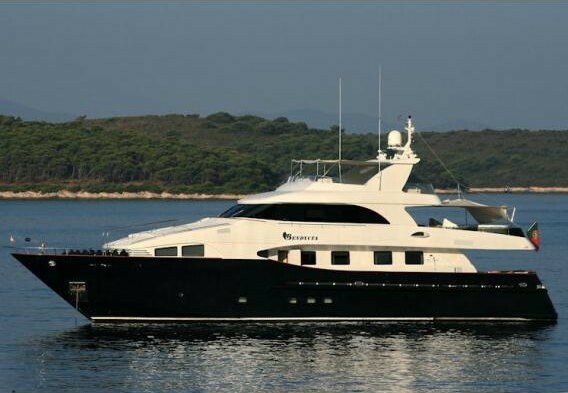 M/Y BENDYCTA features a generous flybridge, perfect for soaking up the warm sun rays, complete with a deluxe Jacuzzi tub, massive aft sunpad, plenty of seating and chaise lounges. 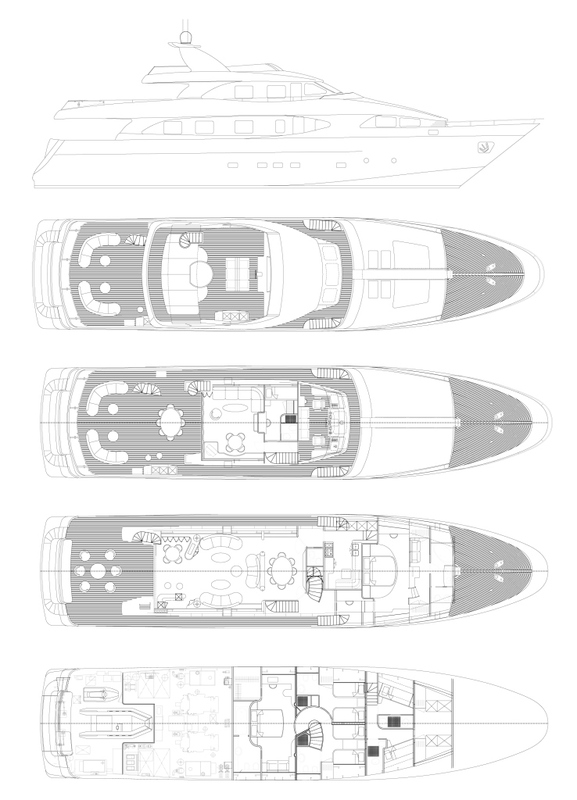 Yacht BENDYCTA is powered by 2 x CAT 1050hp engines capable of 12 – 15 knots. 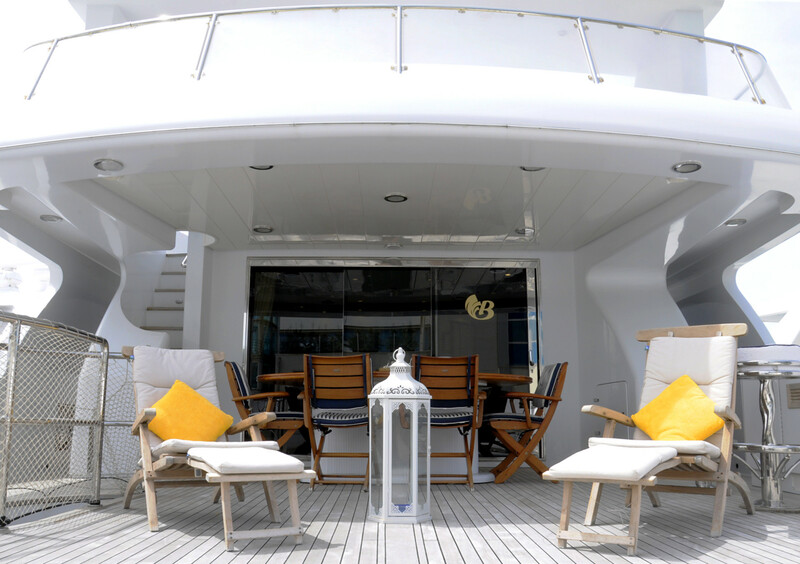 Fitted with both underway and at anchor stabilizers, BENDYCTA ensures a relaxed and comfortable luxury charter yacht experience. 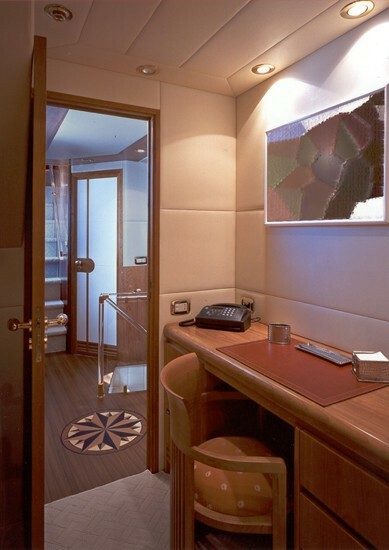 The CBI Navi Yacht BENDYCTA offers 4 cabins, for up to 8 charter guests. 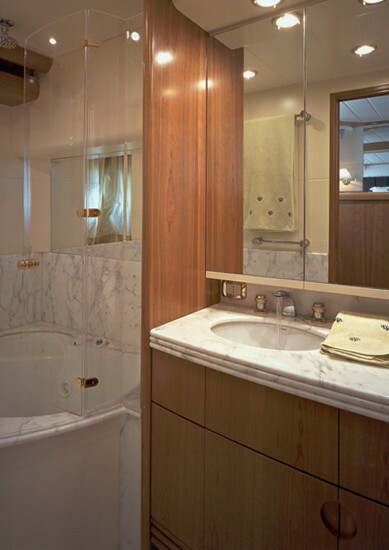 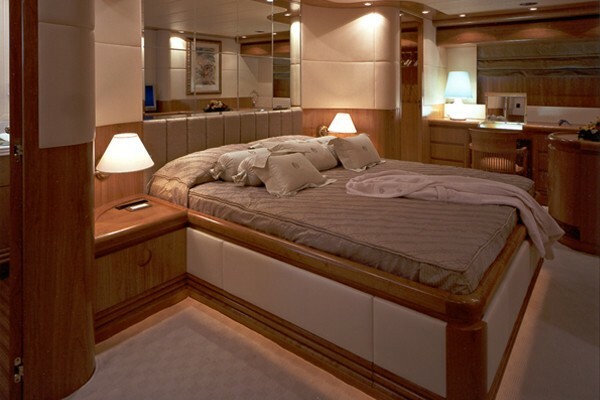 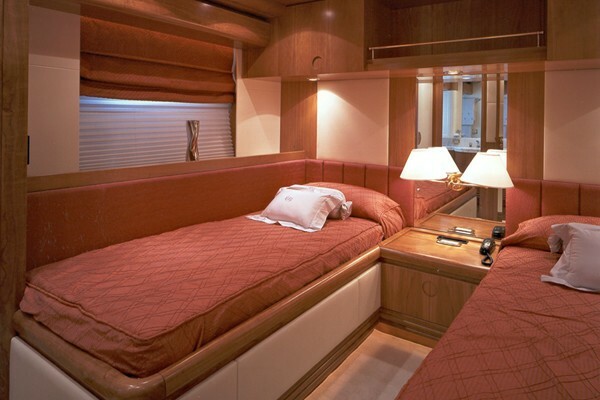 The master stateroom is on the main deck, forward of the salon, enjoying a full beam layout, center lined king size bed, his and hers closets and large en-suite with a tub. 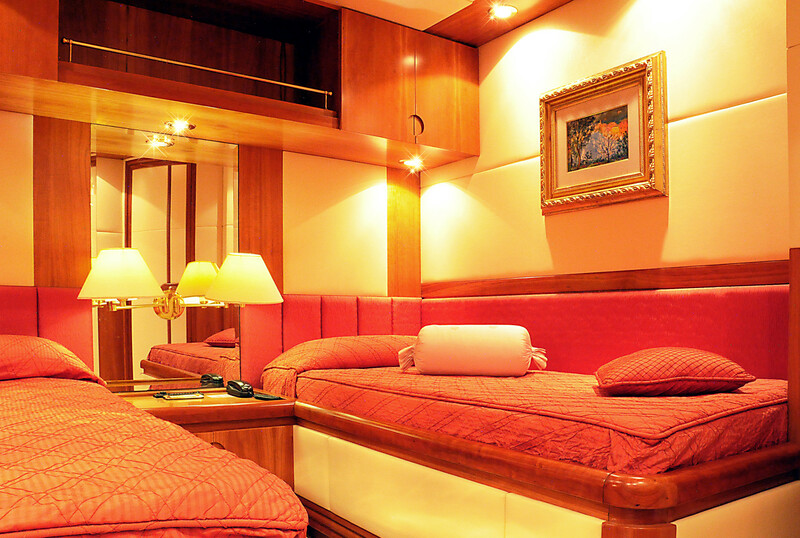 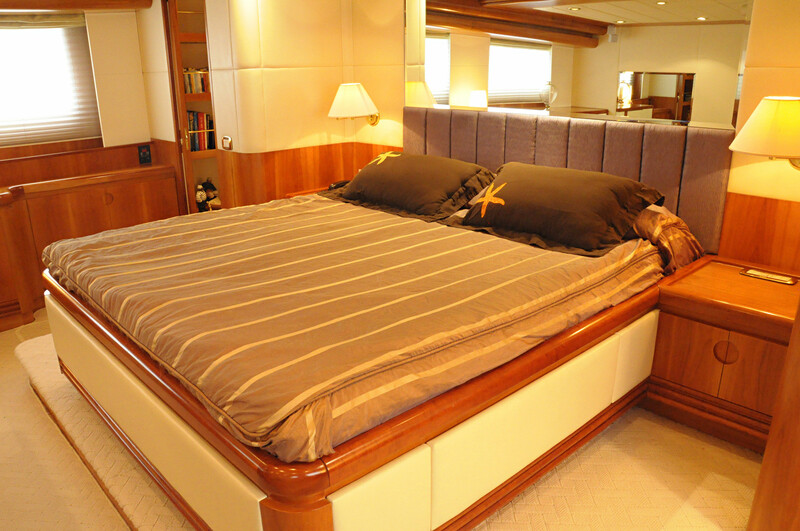 The VIP cabin is below decks and full beam of the yacht, with a center lined queen size bed, sofa, walk in closet and en-suite with tub. 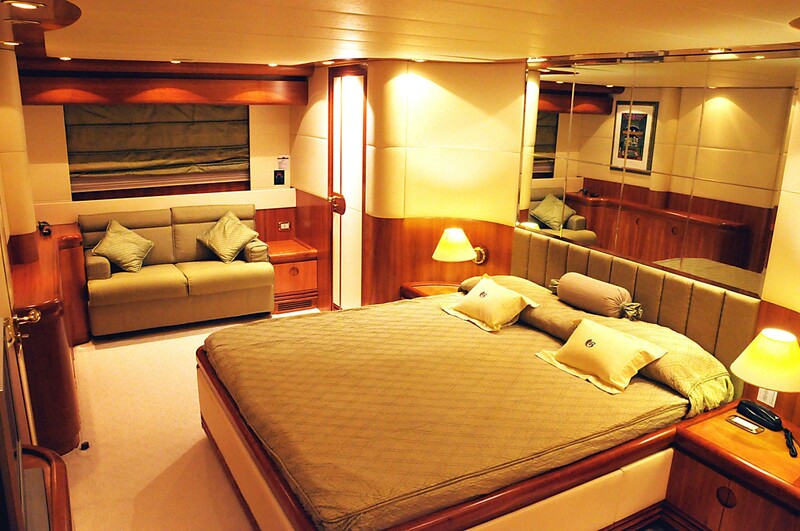 A further 2 guest cabins offer side by side single beds, closets and en-suite facilities with showers. 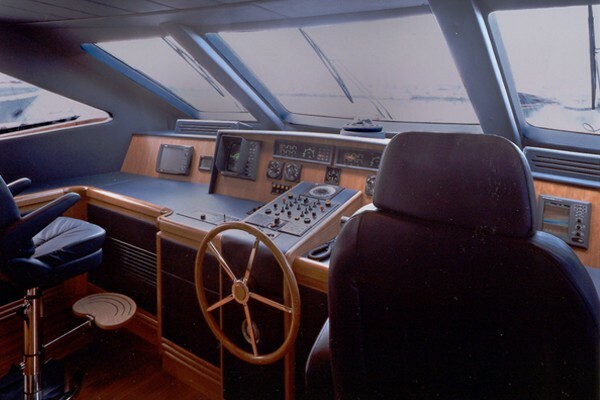 Tenders & Toys Hydrojet tender, snorkeling equipment, banana and donuts.